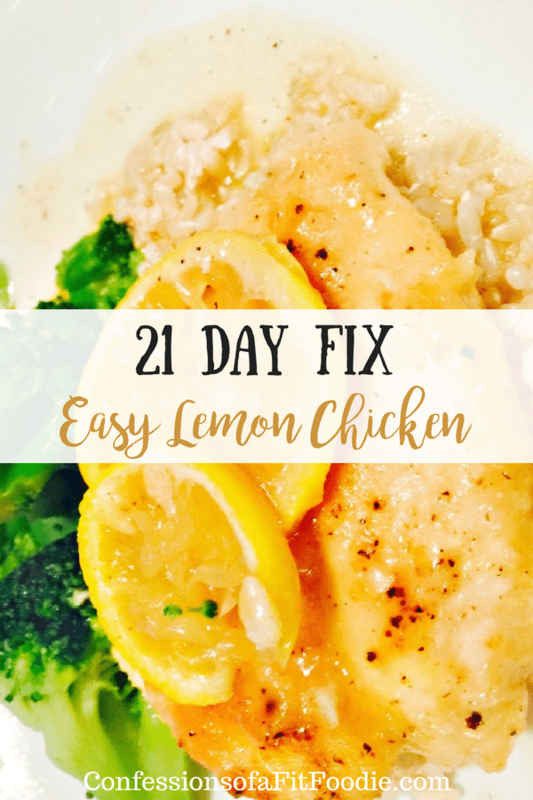 This 21 Day Fix Easy Lemon Chicken recipe is so versatile – make it for dinner, meal prep it for lunch, or serve it for company. It’s THAT good! Oh – and it’s also gluten free! Confession #94- I have the best momma. She helps me with my kids, with my cleaning, errand running, etc. She also COOKS for me. And she’s kind of a babe, too. Her birthday was yesterday and we were talking about how age is just a number. Which is super easy for her to say…given the fact that she looks at least 15 years younger than she actually is. 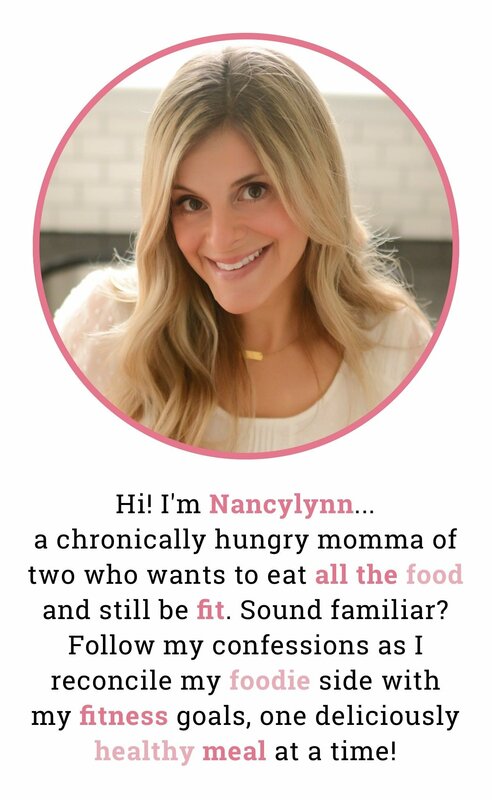 But I have to give her credit- even before eating clean and eating organic was a thing (like before Whole Foods, people), my mom shopped local health food stores and farm stands. Long before I started FIXing recipes, she took our family’s favorite meals and made them healthier. 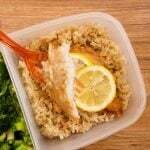 And, in her late thirties, she became a group fitness instructor and personal trainer…she just loved helping women get in shape. I guess we have a lot in common, huh? I’m hoping the whole healthy lifestyle thing works as well for me as it has for her! 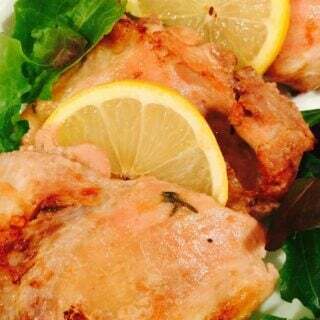 Anyway, this recipe for lemon chicken is my mom’s. 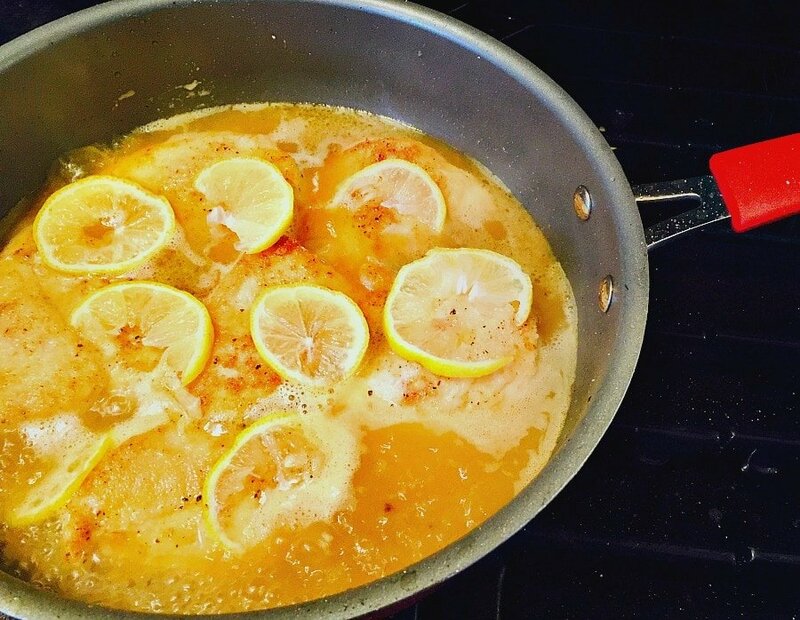 She uses a mix of butter and olive oil to get the flavor of my favorite restaurant dish without overdoing the fat and calories. It’s simple enough for a weeknight, but delicious enough for company on the weekend! Oh- and we use rice flour, so our version is gluten free! Depending on the type of butter you use, it can also be dairy free. If you give it a try, let us know! 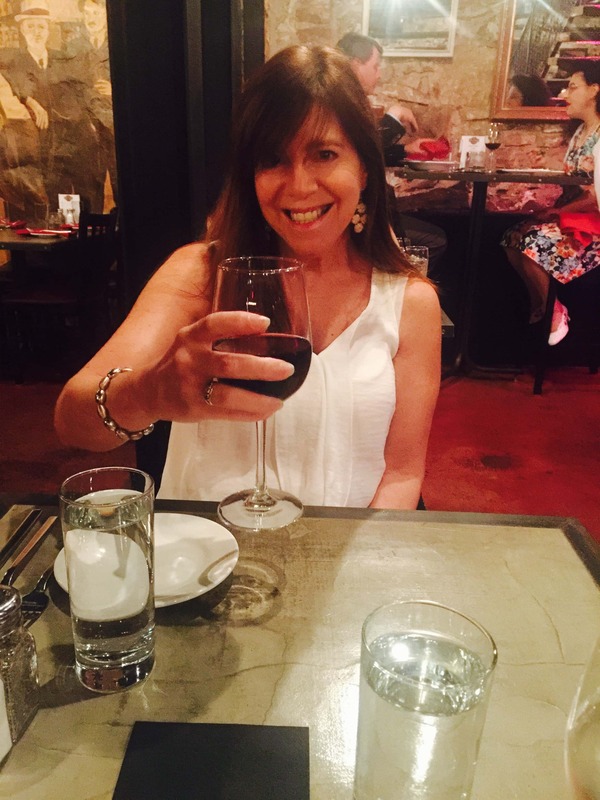 My mom loves reading your comments, too! ? Like mother, like daughter ?? This was so delicious! 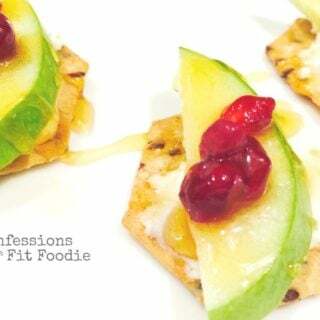 We gobbled it up. 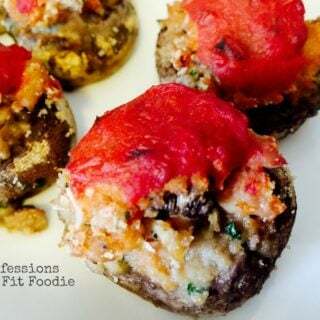 Thanks for making this indulgent recipe a bit more healthy! I’m so glad! I’ll pass this along to my momma :). 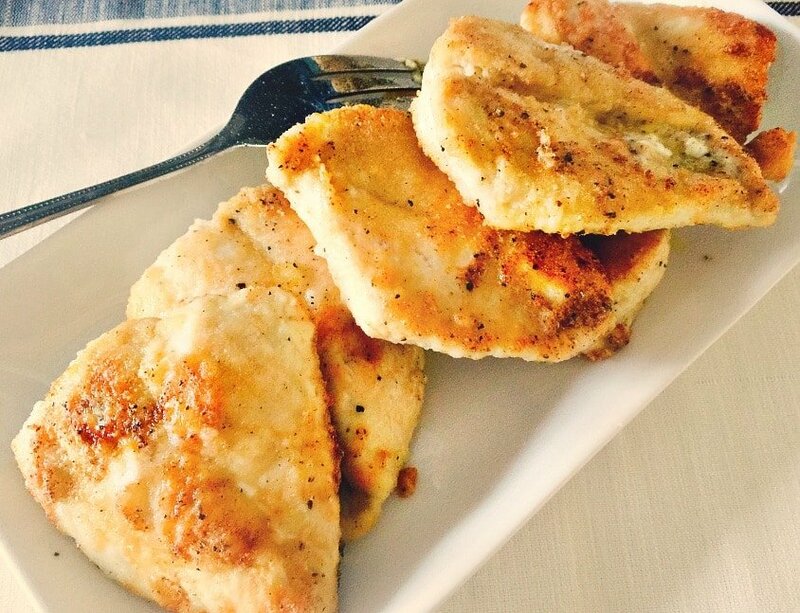 Have you ever tried this with almond flour instead? Hi! I haven’t, but a member of my challenge group did and it worked great! Any flour should work ok! How many does this serve? I may have missed it ? What does this part of the recipe mean: 1 tbs plus 2 tsp of clarified or vegan butter? Hi! Just measure 1 tablespoon and 2 teaspoons of the butter for the recipe. Does that make sense? I made this for dinner tonight, and we all agreed it tastes fantastic. It is going to become part of our regular rotation of meals. For the flour, I used Dove Farm’s gluten-free flour. It’s a mix of rice, potato, buckwheat and tapioca. This worked really well. Next time, I’m going to make some more sauce, and also add a little ginger. 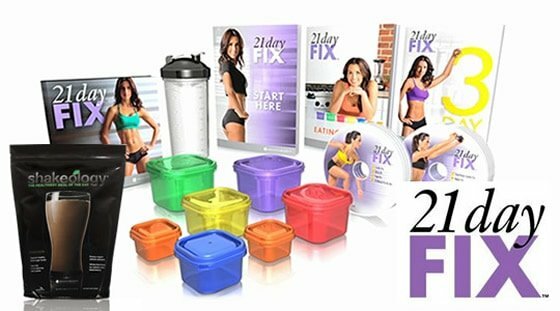 Just came across your site and love all the 21 day fix recipes! thank you for sharing and your Mother is beautiful. Thank you, Darcie! I will certainly pass along the compliment! Happy Holidays to you! I made this with whole wheat pasta. After taking the chicken out I took the cooked pasta threw it in the pan in the juices and lemon and soaked it all up. Gave the pasta a great taste. Love this recipe. never thickened, sad……what did I do wrong…………..
Hi Elaine – sorry this didn’t work out for you. I have no way of knowing what went wrong…did you look back at the recipe and see if you did anything different? What kind of flour did you use? 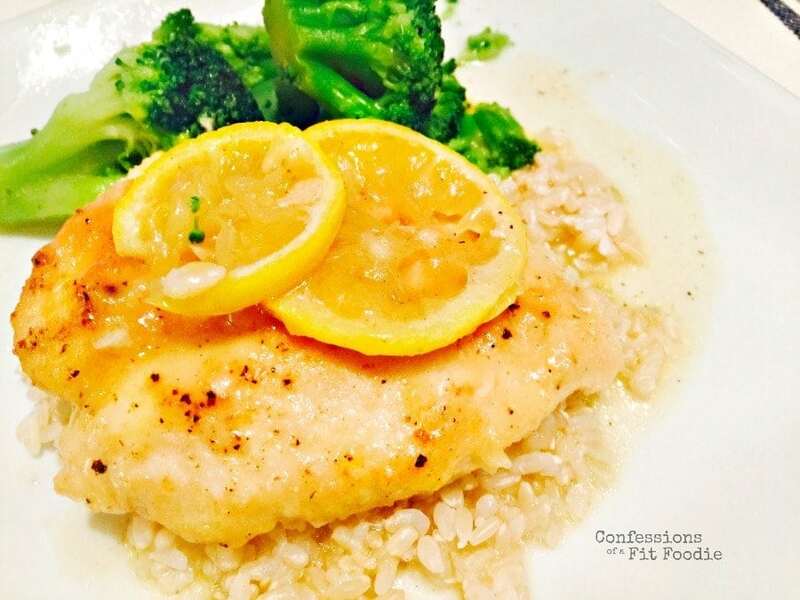 Delicious – even the picky eaters ate it with Lou the normal fuss we get for every other meal! Looks yummy! How do I make it? 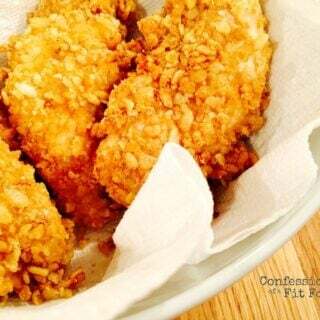 Check out the recipe card below the post!